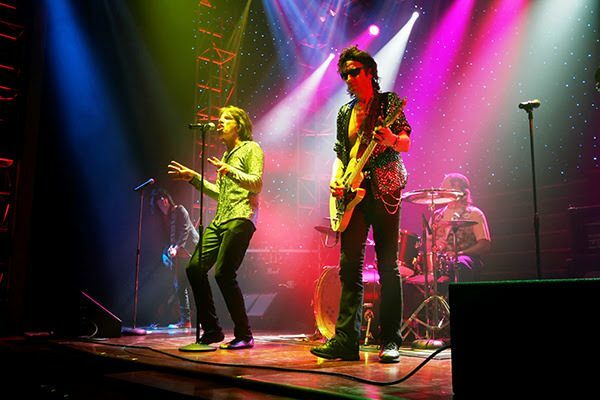 Dallas Arboretum Presents Satisfaction, A Rolling Stones Tribute Band! You are here: Home / Dallas/Fort Worth Events / Dallas Arboretum Presents Satisfaction, A Rolling Stones Tribute Band! Dallas Arboretum’s Cool Thursdays Concert Series Presents Satisfaction, a Rolling Stones Tribute Band! On October 8, the Dallas Arboretum’s “Cool Thursdays” concert series, sponsored by Wells Fargo Bank, welcomes Satisfaction, a Rolling Stones tribute band. As Dallas’ only concert series overlooking the picturesque White Rock Lake on the award-winning Martin Rutchik Concert Stage & Lawn, the fall weather is perfect to enjoy this outdoor performance with a beautiful sunset. Tickets are still available for purchase online. The Satisfaction concert, sponsored by JHP Architecture/ Urban Design, is the international touring tribute show dedicated to the Rolling Stones. This band has been in production and touring since 2001 with more than 2,000 performance dates to its credit. This highly acclaimed production showcases the most authentic cast and costuming for the closest tribute to the legendary Rolling Stones as possible. In addition to the coolest view of White Rock Lake, attendees can bring picnics and beverages or purchase food items from food trucks including Easy Sliders, Guava Tree and Big D Kona Ice. The gardens are also open to stroll through before the concert to enjoy the breathtaking displays of Autumn at the Arboretum. Running throughNovember 25, Autumn at the Arboretum features the nationally acclaimed Pumpkin Village and surrounding displays with more than 75,000 pumpkins, gourds and squash and was named one of “The Best Fall Festivals,” according to Country Living. The concert series continues through October. Gates open at 6 p.m., and the concerts begin at 7 p.m. Single tickets start at $10 – $27 and are available for purchase online. For group tickets of 15 or more, call 214.515.6520. On-site parking is complimentary for all concerts, and the Arboretum encourages attendees to take advantage of the close covered parking available at the new parking garage located across Garland Road from the Rory Meyers Children’s Adventure Garden with access underneath Garland Road.